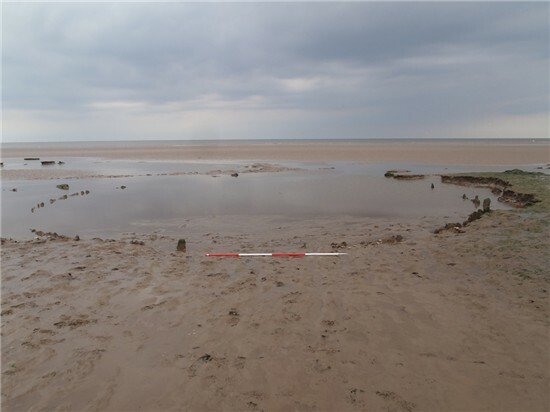 In the late 1990s two remarkable Bronze Age timber circles were discovered on Holme Beach. One of these – Seahenge – was excavated in 1998 and 1999. Since the excavations the second circle has been monitored and evidence of damage by coastal processes has been recorded. In the last year tree ring dating (dendrochronology) has shown the timbers used to build the second circle were felled in the spring or summer of 2049 BC. This means that the timbers were felled at exactly the same time as those used to build Seahenge. The felling date places the construction of both circles early in the Bronze Age. 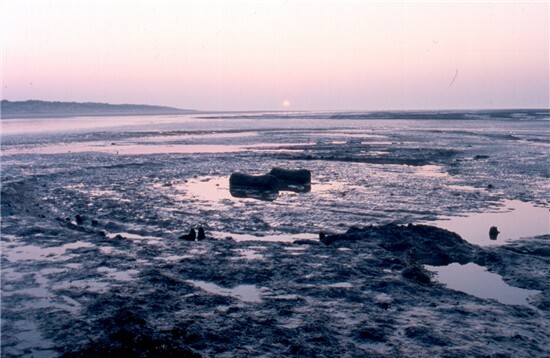 Prehistoric timbers are relatively rare and have been found at only two timber circles in this country, both of which were on Holme Beach. The presence of timbers within circles is normally suggested by soil-filled holes that would once have supported posts. The exceptional survival of the timber circles at Holme Beach means they are the only ones to have been dated precisely by tree ring dating. Most timber circles are dated to within a number of centuries, based on pottery types or radiocarbon dating of organic material (such as charcoal or bone). Since 1999 coastal processes have damaged the second circle. By 2003 all the woven oak branches had been lost and in October 2003 one of the central logs was washed away. The second central log was dislodged by the sea in March 2004. Meanwhile the sediments around the palisade timbers were gradually eroded, leading to the exposure of more of the circle’s timbers. This erosion and the loss of timbers prompted the dating project to collect important information before it was lost forever. The reasons why the second circle was built are not clear, but it may have formed part of a burial mound. The two central logs may originally have supported a coffin. The oval of posts and woven branches could have hidden the coffin from view before a mound was added, with the outer palisade acting as a revetment for the base of the mound. As the timbers used in both timber circles were felled at the same time, the construction of the two monuments must have been directly linked. Seahenge is thought to have been a free standing timber circle, possibly to mark the death of an individual, acting as a cenotaph, symbolising death rather than a location for burial. If part of a burial mound, the second circle would have been the actual burial place. Although it is not possible to see the second timber circle at present, many of the timbers from Seahenge are on display at Lynn Museum. Here they are accompanied by a full size replica of Seahenge and displays on the 1990s excavation and possible uses of the site. The scientific research project was funded by English Heritage. 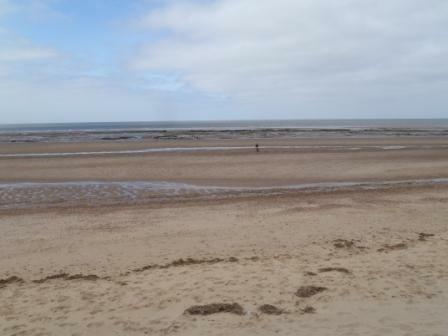 It was undertaken with the agreement of the Norfolk Wildlife Trust and the Le Strange Estate (managers and owners of the beach respectively). It is hoped the project’s results will be published in full in the near future.